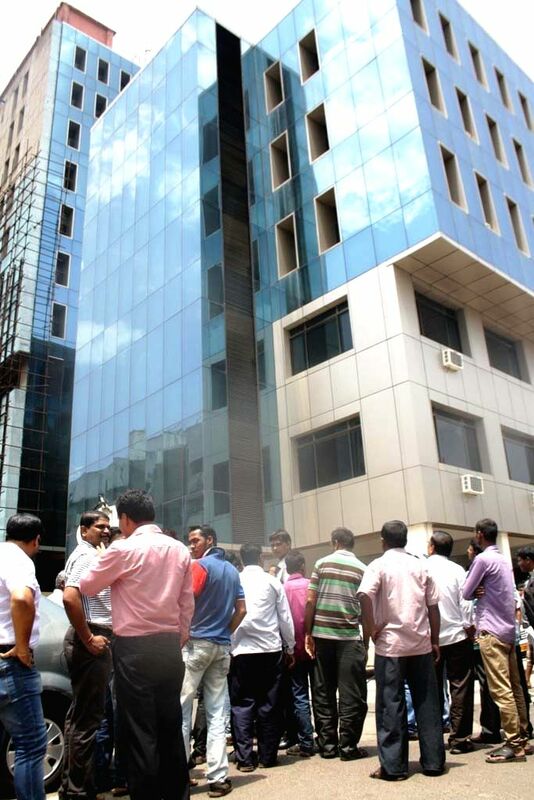 Bhubaneswar: People rush out of their offices as tremors were felt in Bhubaneswar on April 25, 2015. According to the India Meteorological Department, the depth of earthquake was 10 km and measured 6 on the Richter scale in India. The US Geological Survey said the epicentre was at Lamjung in Nepal - a district some 75 km northwest of capital Kathmandu.